Wooden house still remains one of the most popular options for country living. And this is not surprising, because it creates all the conditions that are so necessary in the life of every person: comfort, comfort, warmth, beauty and reliability. Everything else, if the construction of a wooden house is done by hand, then it turns into a very exciting and useful occupation. Project of a wooden house. Installation of door and window openings. Production of all communication works: electricity, plumbing, sewage, etc. 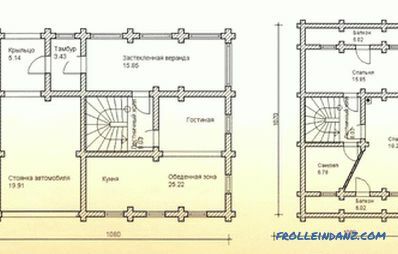 Founding work should be considered the installation of the foundation, walls and roof of a wooden house. 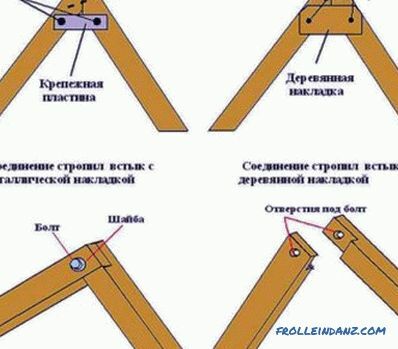 Now we need to stop in more detail at each of the stages of the construction of a wooden house. 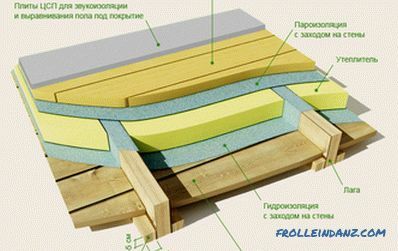 The foundation scheme of a wooden house. Choosing a place to build in accordance with the geodetic recommendations of specialists. Clearing the area for construction. Preparation of tools for work. It is important when building a house not to be mistaken with the choice of wood. Pine, spruce, larch, cedar, fir are very suitable for this. 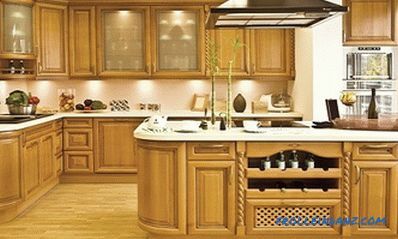 Building materials must be of high quality, treated with special means from rot, pests, fire, and be well dried. Wooden houses can be of the following types: timbered, frame and built from timber. The most difficult wooden house building are hand-made log houses. 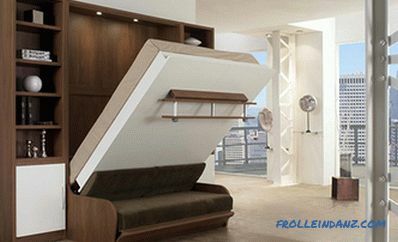 Without special knowledge and skills, without a competent master tutor, it is almost impossible to build them. But the options for the construction of houses from a bar will be able to even beginners. It should be noted that compared to other modern materials, the bar has the highest quality and performance characteristics, has a perfectly smooth surface, impeccable appearance. This is especially true of houses built of laminated veneer lumber. It is necessary to consider in more detail the step-by-step technology of building a house from a bar. 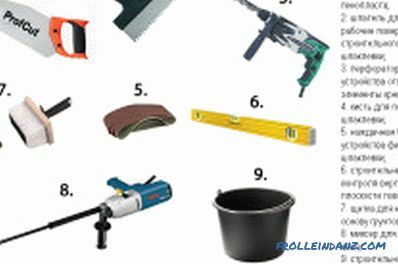 Before the main works should be prepared materials and tools. The most convenient for construction is considered to be a timber, with a section size of 150 x 150 (mm). A timber is a log made of solid wood, hewn from four sides. Tools for installing the foundation. Measuring devices: tape measure, plummet, etc. The foundation of any home, on which the durability and strength of a building depends a lot, is the foundation. Work on the installation of the foundation can safely be called the most time consuming. Foundations can be of different types: tape, columnar, screw, etc. Houses made of wood can be considered buildings of light, so a strip or column foundation is well suited for them. With a belt type of foundation, the weight of the structure is evenly distributed along its entire perimeter. In this case, the device allowed the basement. 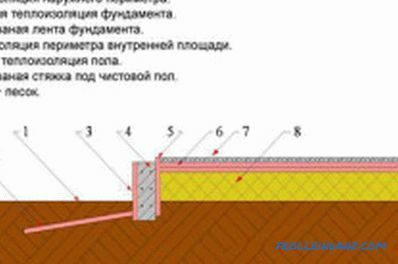 A feature of the installation of the strip foundation is its device on a pillow of sand and gravel, on top of which there is a waterproofing layer. 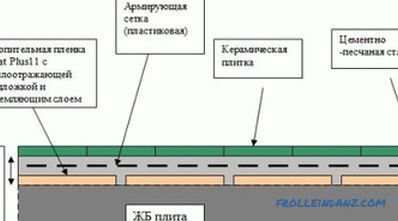 It is best to collect the tape foundation of the factory blocks of concrete. With the column type of the foundation it is impossible to build a basement. This type of foundation is justified when building a house of wood on frozen soils. It is installed below the freezing level, which ensures the stability and reliability of the building. Using iron reinforcement and concrete mortar, between the columns, installed along the perimeter, make a coupler. A bottom trim is installed on the prepared foundation and floor logs are mounted. They spread the draft floor, which is well insulated. The walls of the house are erected from a timber as follows: the rows of timber are alternately laid out, which are fastened together by special devices - pins inserted into the holes prepared for this. The distance between them is recommended - 1.5 (m). A compactor, for example, tow, should be laid between the rows of the timber. For a more robust design, you can use the "warm corner" method, which is that a groove is cut in one beam and a spike of the same size in the other. At installation of a felling the thorn is inserted into a groove. After the construction of the log house you can install partitions inside the house. After the walls are erected, the logs are laid on the ceiling; for this, a beam is used, the cross section of which is 150 x 100 (mm). 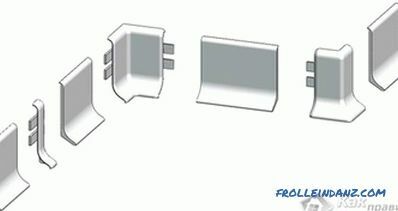 Lags with proper installation should protrude 50 (cm) from the base of the wall. After that, the rafter roof system is assembled from the boards, which is firmly attached to the main structure. Then the fronts are arranged. Lastly, the roof is insulated and covered with any of the modern roofing materials. In the places of future windows and doors, technological openings are cut out. After the wooden frame shrinks, windows and doors are inserted. When the main work on the construction of the house is done, it is necessary to warm the dwelling, to conduct external and internal facing works, to establish communications: electricity, heating, plumbing, etc. Thus, if there is good material and a necessary tool even for a novice master can build a wooden house that will give warmth and comfort for many years.